MANILA -- Malacañang on Wednesday said it will "bow" to the wisdom of senators on the proposal to revert the Presidential Communications Operations Office (PCOO) back to the Office of the Press Secretary (OPS). Presidential Spokesperson Harry Roque, however, said the final decision will have to be made by President Rodrigo R. Duterte himself. “I will bow to the wisdom of our legislators po. I understand that was actually the system (before) but that will have to be a decision to be made also by the President,” Roque said in a chance interview with reporters. According to Roque, the creation of the PCOO is by reason of an Executive Order, noting that it is the power of the President to reorganize the bureaucracy. “This is the best time to study -- while studying your budget -- to review and study the possibility of reverting back into the Office of the Press Secretary,” Sotto said during PCOO’s budget hearing at the Senate. 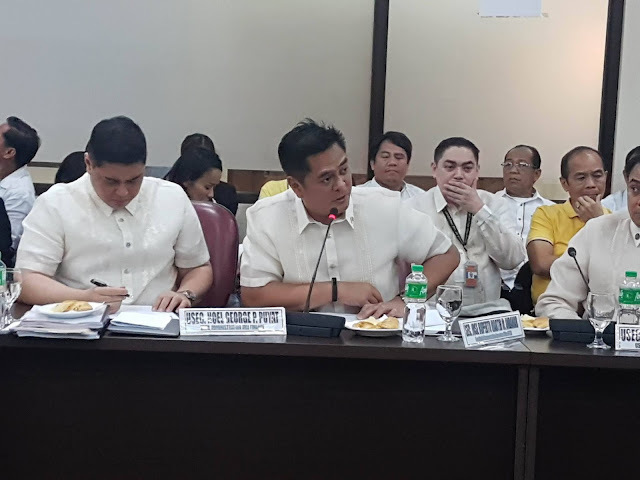 “We can streamline that and use your current budget and if necessary, we can infuse your budget for that to be more effective and we can propose into GAA (General Appropriations Act),” he added. Sotto said in an interview that he brought his proposal to Duterte who expressed support for it. During the term of former President Benigno Aquino III, the OPS was split into the PCOO and the Presidential Communications Development and Strategic Planning Office. Duterte abolished the PCDSPO and transferred its functions to the PCOO. Following the resignation of PCOO Assistant Secretary Margaux “Mocha” Uson, Roque wished her well and expressed hope that the agency will continue its mandate to communicate good news nationwide. “I wish her the best. I will miss her but she did make it clear na ipagpapatuloy po ang advocacy. Lagot po sila lahat kay Mocha Uson (that she will continue her advocacy. They better watch out for Mocha Uson),” Roque said. Uson announced her resignation during a Senate hearing saying that the Congress was purposely delaying deliberations on PCOO’s budget because of her. She opted to step down as a “sacrifice” to allow the ease of passage of the PCOO’s budget. Special Assistant to the President Christopher “Bong” Go earlier said the President has accepted Uson’s resignation. Calls for Uson’s resignation mounted anew after she posted a video on her personal blog showing Drew Olivar, her co-host in Good News Game Show, singing and dancing while making vulgar gestures to raise federalism awareness. She also released another video mocking sign language but has apologized for her mistake. Uson was appointed as PCOO Assistant Secretary in May 2017.